Panthera II refit now available, this set replaces the older one and now comes with the additional parts necessary to build the newer winged design as well. Also released today are the little Novan civilian ships set containing 16 vessels two of each design. 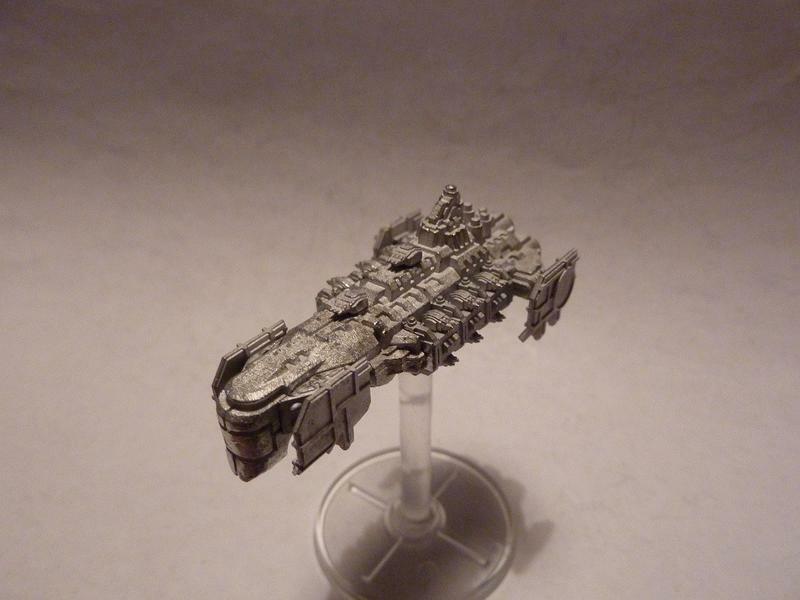 Its not a cruiser class ship but a heavy frigate, I guess it would serve as a strike vessel, the model is 56mm's long. The new components will also be available separately for those who wish to update their existing models, this set should be available within a week or so. I guess it could work as a small Strike Cruiser proxy. I imagined that ship to be a bit bigger though, more Light Cruiser sized. Actually after digging out my old BFG strike cruisers which are not in fact cruisers in size the Panthera is pretty much the same size as the old strike cruiser model, so yes Panthera would make a good match for strike cruiser after all.